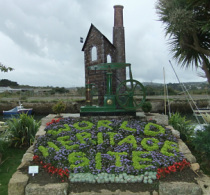 We will be offering a range of mining heritage tours from 2013 - designed to give you an opportunity to discover much of the Cornish Mining World Heritage site - including the many links between mining and Cornwall's gardens and houses. Cornwall Garden Tours has signed up to be a local 'champion' for the Cornish mining site - and we look forward to developing our support throughout the year. Cornwall's latest attraction - designed as a 'gateway' to the heritage site - and a perfect place to get an introduction to Cornish mining history. Open less than a year - and features one of Cornwall's newest gardens as well! 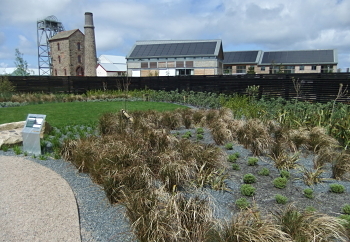 The Diaspora Botanical Gardens help tell the story of the Cornish people who travelled to North and South America, Australia, New Zealand and South Africa.